Dmitri Tikhanski is a Contributing Writer to the BlazeMeter blog. This post will expand on our earlier coverage on this blog of the JSON Path Extractor, a JMeter plugin that enables extracting values from JSON responses. It details scenarios involving working with arrays, conditional select and a selection of multiple values by a single JSON Path query. What does this mean to JMeter users trying to run tests on their website/application that uses JSON? First, it will require some extra configuration to be able to correctly send the JSON data (use the HTTP Header Manager to send a “Content-Type” header with the value of “application/json”). Furthermore, the ability to “read” JSON responses - to be able to check whether the response matches expectations or to extract an important, dynamic part of the response for later reuse (i.e. a correlation) - is also vital. For these reasons, the JSON Path Extractor plugin was created. It is a handy tool to execute JSON Path expressions against JSON responses and storing the result into a JMeter Variable. The installation process, basic use cases and syntax have already been covered on our blog in the Using the XPath Extractor in JMeter guide (scroll down to “Parsing JSON” section). This post covers a bit more advanced scenarios, such as working with arrays, conditional select and a selection of multiple values by a single JSON Path query. Remember that with this  tip, in some cases where there is only one member in the response array, you will get it in square brackets like [John], providing a zero index that will remove the array identifiers and you’ll have only an “interesting” string value. If you need to get a value from a JSON response which depends on the other value, i.e. get “firstName” where “lastName” is “Smith” - it is also possible using JSON Path filter expressions. As you can see, we’re getting [“Anna”]. This is the possibility that I mentioned earlier. In order to get rid of the square brackets and quotation marks, instruct JMeter to take the first array member only. You should remember that the array members indices are zero-based, so append . to the expression. It is also possible to extract several values in one shot, in case you need to reduce the JSON Path Extractors count. In order to get multiple values, use the [,] union operator. As you can see, the JSON Path Extractor captures both elements by a single query. They come in the array form (working with arrays has been covered above). That pretty much covers the JSON Path Extractor, you should be good to go now. If you still experience problems, have questions or want to share any form of feedback - just use the discussion form below. Are you an experienced JMeter user and want to know more? You'll want to view the on-demand webcast, How to Create Advanced Load Testing Scenarios with JMeter. 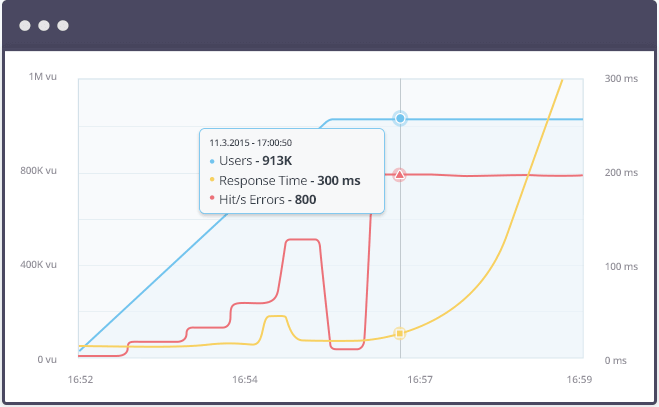 Simple Scalability – It’s easy to create large-scale JMeter tests. You can run far larger loads far more easily with BlazeMeter than you could with an in-house lab. Rapid-Start Deployment – BlazeMeter’s recorder helps you get started with JMeter right away, and BlazeMeter also provides complete tutorials and tips. Web-Based Interactive Reports – You can easily share results across distributed teams and overcome the limitations of JMeter’s standalone UI. Built-In Intelligence – BlazeMeter provides on-demand geographic distribution of load generation, including built-in CDN-aware testing. To try out BlazeMeter, request a demo, or put your URL in the box below and your test will start in minutes.